G-Suite for Education is expected be available sometime in early to mid-June. Google is set to announce a new initiative Thursday in which its slate of services and products — known as G Suite, specifically G Suite Education — will be available for homeschools and their leaders for the first time ever. The software tools are valuable for fostering collaboration, productivity, and creativity in a system of education that is often overlooked, according to the tech company and groups representing the home-schooled. Many Google enthusiasts, or general users of the internet due to the tech giant’s ubiquitousness, are well aware of the free proprietary applications like Gmail, Calendar, Docs, Drive, Sites, Hangouts, and Classroom. More aptly, organizations and businesses are able to sign up for an administrator account in which they can manage those Google services for members or employees. But Google only granted such capabilities to formal education institutions initially, doing so by identifying those recognized with a “.edu” domain. The Home School Legal Defense Association (HSLDA), a nonprofit homeschool advocacy group, reached out to Google to ask if those those that it represents could be provided with such a technological capacity. While they vary, co-ops are part of an arrangement in which anywhere from around 30 to nearly 100 (even sometimes up to 150) students from individual homes gather weekly, biweekly or monthly to partake in educational activities that require or are benefited from team efforts, or are more hands-on. As of 2012, there are 1,773,000 American children ages 5 to 17 that are home-schooled, according to data provided by the U.S. Department of Education, a 61.8 percent increase in 10 years. That means 3.4 percent of students with a grade equivalent of kindergarten through 12th grade are educated outside the public and traditionally private school systems. The home-schooling movement to some observers is now more than just its more prominent manifestation in the 1980s, which seemed to be spearheaded by evangelical Christians. Now, the demographics for those taught outside normal schools are more diverse. In fact, “race, gender, urban residence and family composition make no difference” when accounting for the characteristics behind those who choose such a path, according to a study conducted by sociologists Nihan Kayaardi and Philip Q. Yang. Also, there are “no significant differences” between home-schoolers and the general U.S. population, meaning pre-conceived notions may no longer apply. 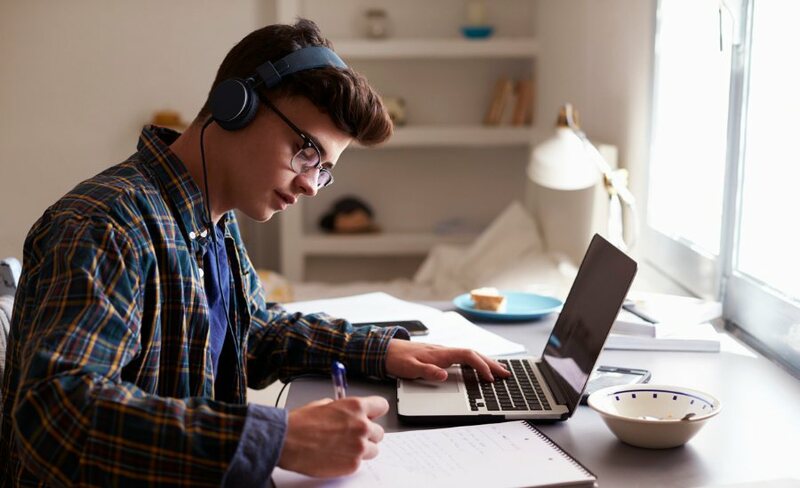 Google says that Classroom is particularly beneficial because it is designed to make “it easy for learners and instructors to connect — inside and outside of schools” while also saving “time and paper.” Specifically, it allows teachers to send announcements and other communications through the web and assign paperless assignments for students at multiple locations. “I think that Google is a good example of how companies can change with the times by recognizing that excellent education occurs in places other than traditional schools,” Jones said. Nevertheless, there will always be privacy concerns when it comes to Google and its programs — particularly when it comes to data dealing with children, and especially at a time when recent events and revelations have piqued the public’s profound concerns of personal information acquired by tech companies and subsequently given to third-parties. But HSLDA, a group that has been called a powerful lobbying group and is in general the target of criticism by some, doesn’t seem too worried, or at least sees the outweighing benefits of using Google’s respective services. Jones addressed accusations against his group — that in some specific cases people use homeschool as a veil to cover up egregious acts. Jones added that regulation of homeschooling doesn’t have a measurable effect on child abuse or neglect, and would likely have unintended consequences. HSLDA isn’t the only group working with Google, which says its also been collaborating with the National Black Home Educators. The announcement comes Thursday morning in Florida at the country’s largest homeschool convention. G-Suite for Education is expected be available sometime in early to mid-June. Follow Eric on Twitter. Send tips to eric@dailycallernewsfoundation.org.